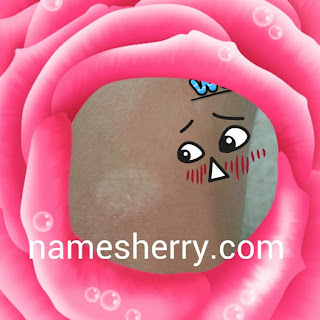 Above my childhood scar, the white patch skin you looking at is the scar! I believe scars, we all have it. But some scars, deeper than others. Above is my childhood car, my left knee injury during childhood. I can never forget because I fell down several times from the hill while chasing the school bus. Same injury over and over again, I can even remembered the pain and feel the flesh of knee's injury. I can remember washing the wound is painful, the cotton would be sticking on the wound. It took so long for my wound to heal, almost healing then I fell down again. It is skin deep because I can touch the flesh of my knee, my mom was complaining why I am so clumsy. The school bus came early morning and I was late, I running down the hill slope and fall down badly. I was bleeding while board the school bus. The injury to my knee happened over and over again for few times. How can forget such incidents? I have shared also my pregnancy scars. Do you have scars that you rather forget or still in your memory? yeah, there you see my scar for life on knee. one of my scar on leg heal itself, probably I think my skin colour darker so it's not so obvious now. today my son fell down and his left knee injury has deeper cuts than right knee.